Dr. Eri Crum is the founder of the Boise Spine Center. He was Valedictorian of his class at Palmer West Chiropractic College located in San Jose, California. In addition to his chiropractic degree, he has a Bachelor’s degree in Human Biology from Stanford University and a Master’s degree in Public Health from the University of New South Wales. Dr. Crum was captain of the varsity golf team at Stanford University and played with some great players (including Tiger Woods). He was also captain of the ice hockey teams at Stanford and Palmer West. He loves working with athletes of all abilities to help enhance performance and prevent injuries. Dr. Crum emphasizes soft tissue therapy in his treatments. He is certified in Active Release Technique (ART) for upper extremity, lower extremity, and spine and is full-body certified in Graston Technique (GT). He is part of the Ironman Soft Tissue Treatment Team in Kona, Hawaii. Dr. Crum has also completed the highest level certification (level 3) of the Titleist Performance Institute (TPI), which emphasizes corrective exercises for injury rehabilitation and peak performance. His advanced training in soft tissue therapy and exercise therapy sets him above traditional chiropractic training. Dr. Crum stays current on evidence-based guidelines to dictate appropriate medical care. He enjoys working closely with medical doctors to provide the best care for all injured patients. 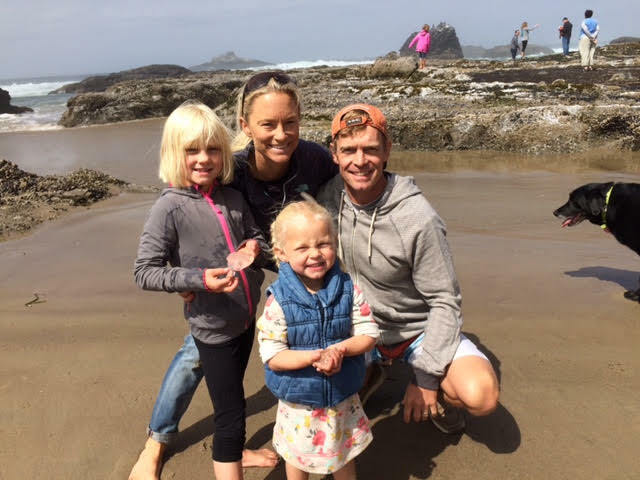 Dr. Crum lives in the Boise foothills with his wife, Erin, and his two daughters, Mckenna and Maddie.